Jani, R. A., Nag, S. and Setty, S. R. (2016). Visualization of Intracellular Tyrosinase Activity in vitro. Bio-protocol 6(8): e1794. DOI: 10.21769/BioProtoc.1794. Melanocytes produce the melanin pigments in melanosomes and these organelles protect the skin against harmful ultraviolet rays. Tyrosinase is the key cuproenzyme which initiates the pigment synthesis using its substrate amino acid tyrosine or L-DOPA (L-3, 4-dihydroxyphenylalanine). Moreover, the activity of tyrosinase directly correlates to the cellular pigmentation. Defects in tyrosinase transport to melanosomes or mutations in the enzyme or reduced intracellular copper levels result in loss of tyrosinase activity in melanosomes, commonly observed in albinism. Here, we describe a method to detect the intracellular activity of tyrosinase in mouse melanocytes. This protocol will visualize the active tyrosinase present in the intracellular vesicles or organelles including melanosomes. Note: See Recipes for acid wash and sterilization. Prepare coverslips for the following treatments: 1x PBS and/or D-DOPA (negative control), L-DOPA and L-DOPA with copper. For this, add four sterile coverslips to four wells of 6 well plate using forceps. 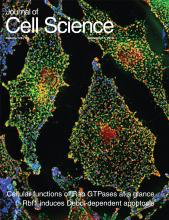 Note: Copper is essential for tyrosinase activity in melanocytes and addition of copper to the fixed cells will allow visualizing tyrosinase activity in the secretory compartments such as endosomes and Golgi and enhance its activity in the melanosomes (Setty et al., 2008). Coat the coverslips with a thin layer of Matrigel using 0.1% Matrigel matrix solution and dry the coverslips at room temperature for 15-30 min. Wash the coverslips thrice with 1x PBS (2-3 ml each, room temperature). Seed the mouse melanocytes approximately 0.5-0.8 x 106 in each well of 6 well plate or 60-70% confluence in any dish and incubate at 37 °C in 10% CO2 incubator. Fix the cells after 24 h with 4% formaldehyde in 1x PBS (room temperature) for 30 min. Wash the cells thrice with 1x PBS (room temperature). Incubate the cells with the following freshly prepared solutions at 37 °C for 2 h.
Remove the solutions and repeat the incubation with the respective solutions. Note: L-DOPA in PBS or water undergoes auto-oxidation and turns black after few hours. Moreover, this oxidation results in loss of active L-DOPA substrate in the solution and thus, repetition of this step with freshly made solutions will improve the activity of tyrosinase. Wash the cells thrice with 1x PBS. Mount the coverslips with mounting medium on glass slides and image under the bright field microscope (Figure 1). Keep the bright field exposure time and settings identical for all the samples (Figure 1). Compare the bright field images of L-DOPA or L-DOPA+copper treated melanocytes with 1x PBS or D-DOPA. The images can be analyzed for differences in signal intensity and number of pigment granules, as well as their distribution within the cells. Note: The increase in pigment granule number and intensity in melanocytes treated with L-DOPA or L-DOPA+copper (observe higher granule intensity compared to L-DOPA) is indicative to the presence of active tyrosinase in both intracellular vesicles and endocytic organelles including melanosomes (Setty et al., 2008). Figure 1. In vitro intracellular tyrosinase activity in wild type mouse melanocytes. Freshly fixed mouse melanocytes on glass coverslips were incubated with 1x PBS, D-DOPA (negative control) or L-DOPA with or without copper sulphate (20 μM) for 4 h. Images were captured at identical camera setting in a bright field mode on inverted fluorescence microscope. Arrows indicate the increased tyrosinase activity in cells treated with L-DOPA (with or without copper). Arrowheads point to the regions with enhanced tyrosinase activity in cells treated with L-DOPA+copper. Scale bars, 10 μm and insets, 2.5 times of the white boxed areas. Note that the melanin deposits are increased in cells treated with L-DOPA (with or without copper) compared to D-DOPA or 1x PBS incubated cells. Prepare D-DOPA and L-DOPA solutions always fresh, just before the incubation of cells. Use the freshly formaldehyde fixed melanocytes for the assay. Incubate the coverslips (approximately 100 in number) in 50 ml of HNO3 and HCl mixture (in 2:1 ratio) for 2 h at room temperature (25 °C). Wash the coverslips with deionized water for 3-4 times (50-100 ml each time) or until the pH of incubated water reached to 7. Wash the coverslips with 70% alcohol, dry in hot-air-oven (maintained at 50-60 °C) for overnight and sterilize by autoclaving in a glass beaker. Store the coverslips at room temperature in biosafety cabinet for repeated use. Suspend 10 μl of Matrigel matrix in 10 ml of ice cold RPMI-1640 media (without fetal bovine serum) and keep the solution on ice during the experiment. Coat the coverslips by adding 1 ml of solution to each well at room temperature. After 1-2 min, collect the matrix solution and store at 4 °C for reuse. Dry the coverslips at room temperature for 15-30 min in a tissue culture cabinet with a closed lid. This protocol was modified from previously published reports (Zhao et al., 1994; Boissy et al., 1998). We thank E. V. Sviderskaya and D. C. Bennett for generous gift of wild type mouse melanocytes. This work was supported by Wellcome Trust-DBT India Alliance Senior Fellowship 500122/Z/09/Z to S. R. G. S. and a UGC fellowship 2120930821/2009 to R. A. J.
Jani, R. A., Purushothaman, L. K., Rani, S., Bergam, P. and Setty, S. R. (2015). STX13 regulates cargo delivery from recycling endosomes during melanosome biogenesis. J Cell Sci 128(17): 3263-3276. Setty, S. R., Tenza, D., Sviderskaya, E. V., Bennett, D. C., Raposo, G. and Marks, M. S. (2008). Cell-specific ATP7A transport sustains copper-dependent tyrosinase activity in melanosomes. Nature 454(7208): 1142-1146. Sviderskaya, E. V., Kallenberg, D. M. and Bennett, D. C. (2010). The wellcome trust functional genomics cell bank: Holdings. Pigment Cell Melanoma Res 23: 147-150. How to cite: Jani, R. A., Nag, S. and Setty, S. R. (2016). Visualization of Intracellular Tyrosinase Activity in vitro. Bio-protocol 6(8): e1794. DOI: 10.21769/BioProtoc.1794.